Ottawa Tires and Rims has been serving the Canadian population for quite a long time and has excelled itself in selling high-grade tires, rims, wheels, and other automotive accessories. Our top quality service and dealership is spread across Ottawa, catering to both private and commercial clients’ automotive issues and requirements. Our company is committed to provide superior service to the customers at most affordable rates. 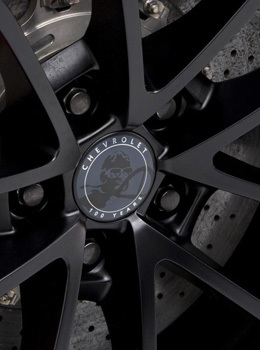 We have an extensive range of tires, rims, and wheels available and each of our products is backed by full-time warranty allowing customers to choose their favorite automotive accessories with complete peace of mind. Here you will find optimum quality products, honest service, and competitive rates. 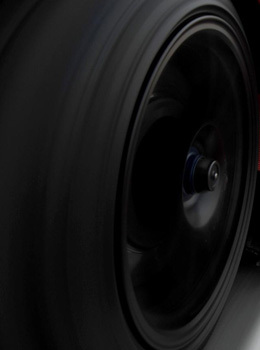 Ottawa Tires and Rims is one of the most authentic, experienced and reliable name in the tires industry and have achieved an eminent position in satisfying the customers with the best tires, wheels and rims at competent rates. We are proud to tell you that we are providing you high quality, strong and reliable tires and wheels for your vehicles ranging from cars to trucks at cheaper rates in Ottawa and its surrounding areas. If you are a driver of a truck and want and extra mileage on the roads, we will respond to you with your desired rims and tires at competitive prices while you will be getting the best in terms of satisfaction, safety and quality as your satisfaction is our standard and we do not compromise on it. Your safety on drive is our primary concern. We are very easy to contact whenever you want us to care for you with our strong tires and rims to make sure that your journey is uninterrupted, smooth, safe, and enjoyable throughout. We are sure that you will get the best with us for your vehicle in the winter season to fight the lowest temperatures during winter. So have you planned to travel on the roads in your vehicle? Have you checked its tires and rims to bear the intense snowfall in Ottawa? Are you sure they are working pretty fine to take anywhere without any stumbling block? No? Come to us and share your worries with us. 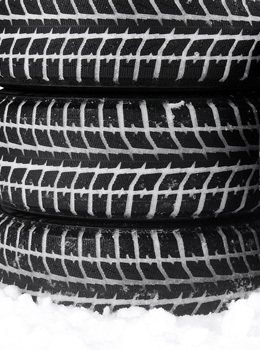 If you have not begun shopping for a set of winter tires then you are going to find yourself stuck as this is the peak season for purchasing snow tires. This requires careful decision making as often customers are fooled by the shady deals and offers. The first and foremost thing to remember before buying tires for winters is to measure the size of your vehicle's tire. Usually the size is mentioned on a tire’s sidewall. It is best to get the tires that match the manufacturer’s size but in some cases an alternative size can be used. Another thing to be kept in mind is that tires should always be bought in a set of 4 rather than a pair of two. Getting 2 tires for an all-wheel drive vehicle, a front wheel drive car, or a rear wheel vehicle can cause many serious risks. Absence of snow on the rear tires can result in unbalanced handling especially on slippery roads and the vehicle might get out of control. Therefore it is better to install four tires on the vehicle for both front and rear. Do not always go for high priced models as money can be saved by grabbing discounted deals and offers. 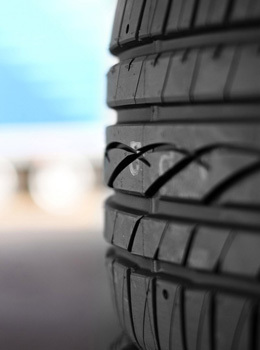 Automotive companies can be approached for making assessments for an alternative tire size in case the original size tires are considerably expensive. Winter tires are ideal option for vehicles to get a smooth and safe ride during extreme cold conditions in Canada therefore contact us for best advice and tips to get the most compatible deals on tires designed for winters.